2008 seems to be the year that you should have a word. Ali Edwards has thrown out the challenge to the scrap community at large to pick a word that embodies what will be meaningful to you this year. Her blog contained the “one little word” concept : A single word can be a powerful thing. It can be the ripple in the pond that changes everything. It can be sharp and biting or rich and soft and slow. As I pondered this (not having found a word of my own as yet) I was reminded of the New Years Eve events in Sydney in 2000. 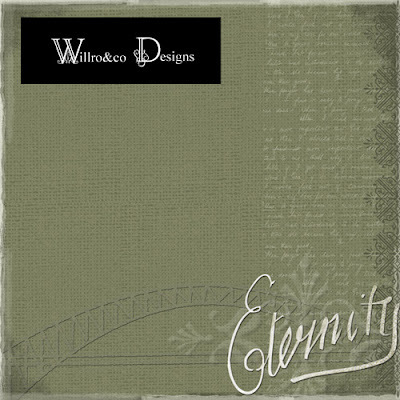 Our Harbour Bridge was emblazoned with the word ETERNITY. The story behind this powerful – some seventy years earlier a gentleman named Arthur Stace, with his life in tatters around him, walked into a church and heard the minister speak about eternal life available to us through Jesus Christ. He walked out a changed man and spent the next 40 years writing the word ETERNITY in chalk on the pavements around inner Sydney. His one word sermon was powerful. Maybe you have found your word for 2008, but I encourage you to think also about a word that will not only shape 2008, but the rest of your life. I'm checking out Faith Sisters atm. Looks great! Your digi stuff is so awesome Ro!!! Also - Arthur Stace couldn't read or write before he walked into that Salvation Army church (I think it was one of them) but afterwards could write 'eternity' in perfect Copperplate!!! Praise God for that awesome miracle! That paper is just fantastic! It's up their on one of the nicest papers I have seen. Loving it Ro, but especially love this story... bit of a D&M post really, to make us think!